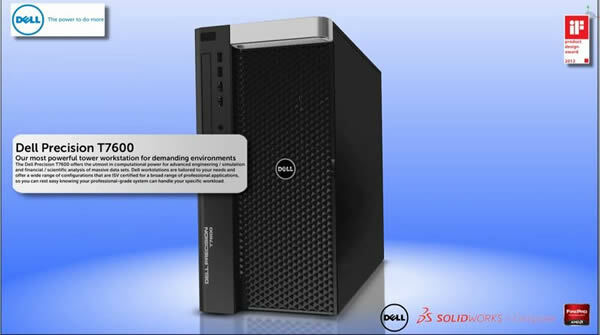 This demo video of a Dell Precision T7600 with AMD FirePro Graphics was created using SolidWorks Composer. SolidWorks Composer enables you to easily show all features within a product. It uses CAD data that has already been created and connects it to the end product, thus eliminating the disconnect found by using photos or screen shots. The end result is a high quality manual or video that viewers can get right away because it is visual. This video is an example of how a company such as Dell and AMD can use SolidWorks Composer to show their products. I hope you enjoy.